Below is an email I got today from Live Action. It’s important that we all know that many times on social media, those who believe in Conservative principles are silenced by the social media censors. The article below is a prime example of what I’m talking about. I removed some of the fund raising talk from the email, but I did leave in the link where you can go and give if you so desire. I just heard a powerful quote from someone that I want to share with you. This was the reaction of a self-proclaimed “pro-choice” man after seeing one of Live Action’s “Abortion Procedures” videos on the streets of San Francisco this summer. He’s not alone. Whether it’s the dozens of people we’ve interviewed in cities across the country or the millions who’ve already seen these videos online, we are convincing more and more people to see that killing preborn children is wrong. 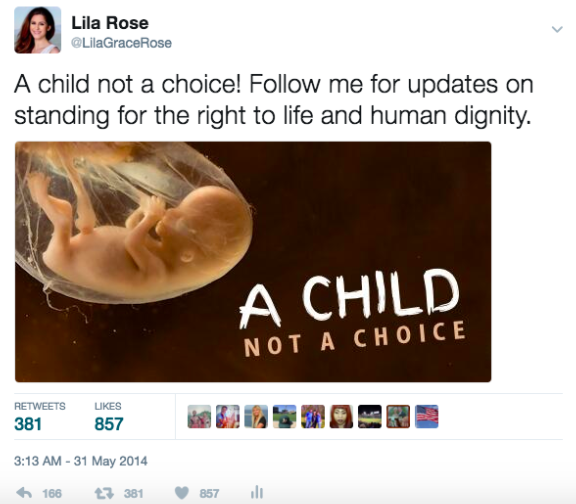 We are able to reach millions of people with these Abortion Procedure videos through social media – reaching people right where they are – on their smartphones and computers. Here is an example of the kind of content that Twitter is banning! While we work to pressure Twitter to lift their ban on ads for pro-life content, we must double our efforts elsewhere. Live Action has the largest online presence than any other pro-life organization. We must take advantage of our expansive reach on all of our platforms, besides Twitter, to expose the abortion industry and change people’s opinions on abortion. Ed, with your support, we will show Twitter, and the rest of the country, what is truly “offensive” and “inflammatory” – the killing of preborn children. Together, we can end this atrocity and build a culture where the rights of all individuals are protected, especially the most vulnerable: our precious preborn.